NO WORRY HOLIDAYS for you and your family. Dont feel guilty about leaving your pooch at home. Enjoy your holiday knowing they are safe and sound in their own home. FREE CONSULTATION Before you comit to our service we will come and meet you and your pets for a free consultation where we will learn about your pets needs, habits and general routine. We strive to give you piece of mind so you feel secure and safe with your home stay nani. STRESS FREE PETS During our stay we will guarantee lots of love, at least 3 walks a day, keep their usual feeding routine and keep your pets safe and happy while they are missing you. ANY BREED POLICY We do not discriminate against breeds, we will come and look after any breed of dog big or small. We also look after Cats, rodents, reptiles or any other animal in your home, so no need to worry about any of the family. DAILY UPDATES While you are away we will send you daily updates and photos so you can see what your pooch & pets are up to and give you sound piece of mind that they are ok.
A 20% deposit will be taken at time of booking and the rest to be paid 1 week before departure. Deposits are non refundable as we have booked out the time in advance. Home & Petsitting - Looking after your pets in your home. While you are way we will be a host at your home, looking after your pets and keeping it tidy for your return. We buy our own food to bring to your house so all you have to worry about is the Pet sitting Fee. These prices are for dogs that can be left alone for up to 5 hours as our Dogs Den Staff work part time no more than 20 hours a week. We are fully insured so theres no need to worry about your pets while we are staying in your home. If your dogs cannot be left alone thats fine too, just send us a message for a quote. Home Visits - Away for a long weekend or taking a holiday? Use our home visit service and keep your cats, small animals etc fed and watered. Rather than having us staying over we also offer this home visit service where we can pop in up to twice a day for feeding. We can either come for a key before hand or you can leave it in a safe place. Dog Walking- Long day at work or just need a little help? 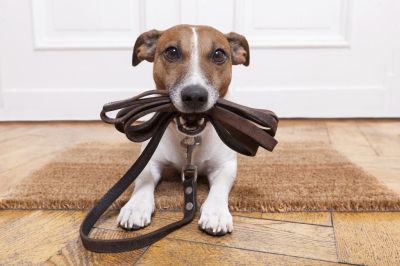 Use our dog walking service, reliable, fully insured and passionate about animals. From a nip out for a wee to a good hour out walking for those with more energy. Book your walker here. CALENDER SHOWS BOTH SCARBOROUGH AND LEEDS BRANCHES. CHECK THE AREA BOOKED WHEN LOOKING FOR AVAILABILITY! ANY TROUBLE FEEL FREE TO EMAIL US VIA OUR CONTACT PAGE OR FACEBOOK. WHY SHOULD I USE DOGS DEN? We have been pet owners of all sorts of animals from ferrits to snakes for over 15 years aswell as being foster parents for many cats and dogs. WILL YOU BE IN ALL DAY? self-employed which gives us full flexability if there are any special requests. DO WE NEED TO LEAVE PET FOOD? Yes we expect you to leave the right amount of food for your pets for your duration away. If the food runs out you will be billed for any extra food at its cost price and no more. DO YOU STAY IN MY HOUSE WHILE I AM AWAY? Yes. Your sitter will stay over at your house, make sure your pets are looked after and your home is clean & tidy for your return. We buy our own food aswell so you dont need to leave food in the house.